In the remodeling world I often get called in to alter or build something new in an older home. In these situations the homeowner usually wants the new moldings and details to match the older moldings. Sometimes this is easy and other times it’s not. In almost every case I make a profile of the old molding and transfer it to my notes or reference a local molding catalog. I do this with a Johnson contour duplication gauge. The Johnson contour gauge is an excellent tool for copying moldings. 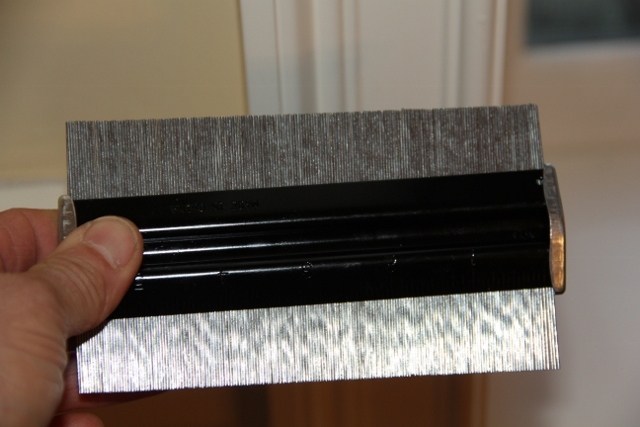 It’s also very useful for installing copying difficult tile profiles, wallpaper, woodworking and trim scribing. I rely on this gauge so much that I actually have two of them; one is in my estimating bag and the other is in my finish carpentry tool-bag.